Prada Sport PS 53NS 5AV3M1 sunglasses not only provide superior protection from damaging UV radiation, they are a stylish fashion accessory that reduce the negative effects of glare and improve vision in bright conditions. 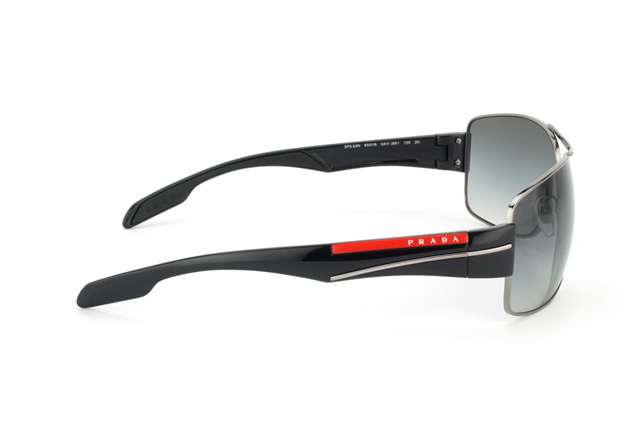 Wearing Prada Sport sunglasses during the day also improves night driving as your eyes will find it easier to adjust. Prada Sport PS 53NS 5AV3M1 sunglasses are a unisex fashion accessory. 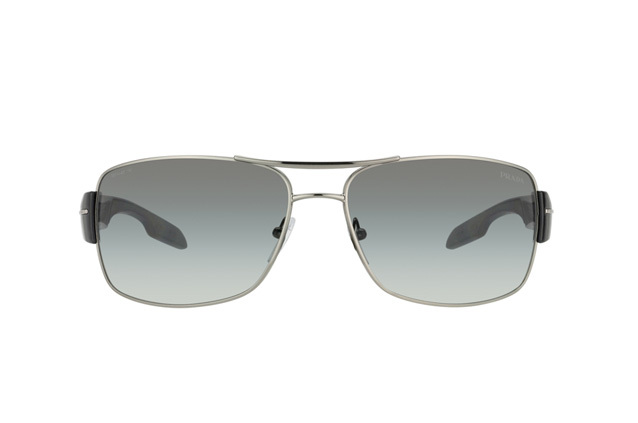 With a double bridge and aviator design, complemented by a metal frame and durable, scratch-resistant lenses. Weighing just 29g, these are a lightweight pair of sunglasses. Shop for original lenses and frames from your favorite designer brands at one of Europe's leading online eyewear providers. Mister Spex has more than 1.5 million satisfied customers! Choose your desired frame and lenses, checkout with our hassle-free online ordering system and pay via encrypted methods to get your purchase delivered straight to your door.